It’s perhaps the king of comfort foods, the dominant dish of America, and a favorite of all ages all over the country: Macaroni and cheese. Golden and gooey, baked and hearty, this sideline staple or main dish can be served up any number of ways, and on July 14, you’ll have the opportunity to try as many of these as you can on National Mac and Cheese Day, also known as National Macaroni and Cheese Day. 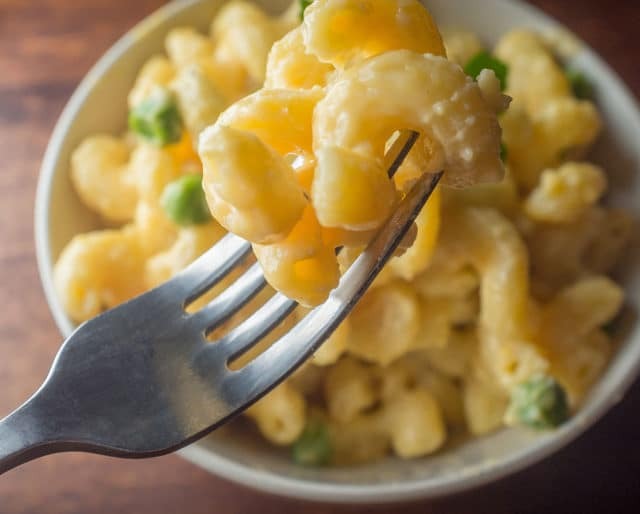 Kraft may be the first thing that comes to mind when you think of mac and cheese, for good reason. The company has been dishing out delight in the form of a box since 1937, but the origins of the creamy casserole can be traced back hundreds of years to Italy, where pasta and parmesan have been a staple meal for centuries. In America, some credit Thomas Jefferson for bringing the recipe back to America after spending time in Italy, but this idea has been disputed. There’s no way to know whether it’s all bologna. Crayola names a new crayon color "Macaroni and Cheese"
Oldest known recipe for mac and cheese is included in the medieval English cookbook "Forme of Cury"
All over America, restaurants are enticing visitors to taking on food challenges that, if conquered, mean a free meal for those strong enough to finish them. This July 14, try to find a place with a mac and cheese eating challenge, like the Midnight Mac and Cheeserie in Chicago. Here, if you eat five pounds of the house mac and cheese in under an hour, you go down in Chicago cheese-story, not to mention get a free meal and a t-shirt out of it. Break from the casserole mold this year and go big. For a fancier dish, try adding caramelized onions and prosciutto. To give it a fiery southwest flavor, toss in some bacon and jalapenos. Or, invite your friends to bring in a recipe of their own, and judge whose is best to determine who’s the big cheese of the evening. If your local restaurant scene is getting in on the holiday, don’t miss out. Check out if any restaurants in your town are cashing in on the creamy craze, or simply visit a favorite spot and order up a classic. If you’re in the midwest, it’s a hotdish. If you live in the northeast, it’s a casserole. Down in the south, it’s a sometimes-spicy side dish that accompanies BBQ right along with potato salad. But wherever you’re from, there’s a version of mac and cheese that you grew up with, and will always taste like home. What do they serve in your neck of the woods? Basic mac and cheese only requires a few ingredients, and most of the magic happens in the oven while you’re enjoying an afternoon drink outside with friends. But, when paired with any meal, it will likely be polished off long before your aunt’s green beans or twice baked potatoes. It’s a dish loved by all ages and is simple to make - why wouldn’t it be your contribution to the summer BBQ? While we often think of mac and cheese as an Italian-turned-American favorite, there are variations on the dish all over the world. In Hong Kong, for instance, it’s common to eat macaroni and cheese for breakfast, doctored up with several ingredients, including peas, ham, mushrooms, and eggs.